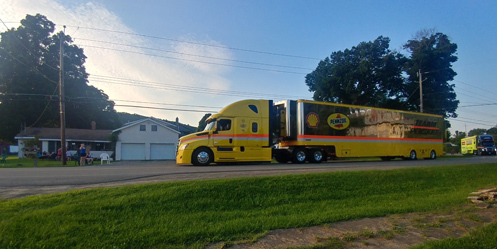 Logano's hauler driving through Monterey, NY after the race. Joey Logano picked up the 2nd last-place finish of his Monster Energy NASCAR Cup Series career in Sunday’s Go Bowling at the Glen at Watkins Glen International when his #22 Shell / Pennzoil Ford was eliminated in a crash after he completed just 1 of 90 laps. The finish, which came in Logano’s 349th series start, was his first since February 15, 2009, when he crashed out of the Daytona 500, 346 races ago. 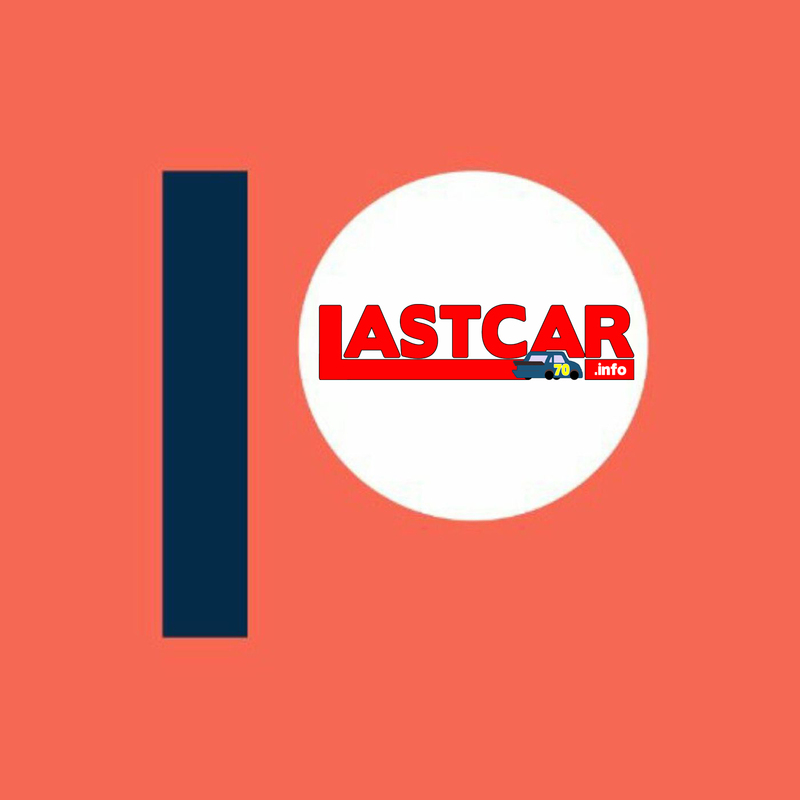 As it happens, Logano, who was making just his fourth career start that day, was the subject of our first two LASTCAR articles after he trailed both the Budweiser Shootout and the 500. In the Cup Series last-place rankings, it was the 26th for car #22, the 569th because of a crash, and the 683rd for Ford. Across NASCAR’s top three series, it’s the 40th for the #22, the 941st for Ford, and the 1,156th resulting from a crash. 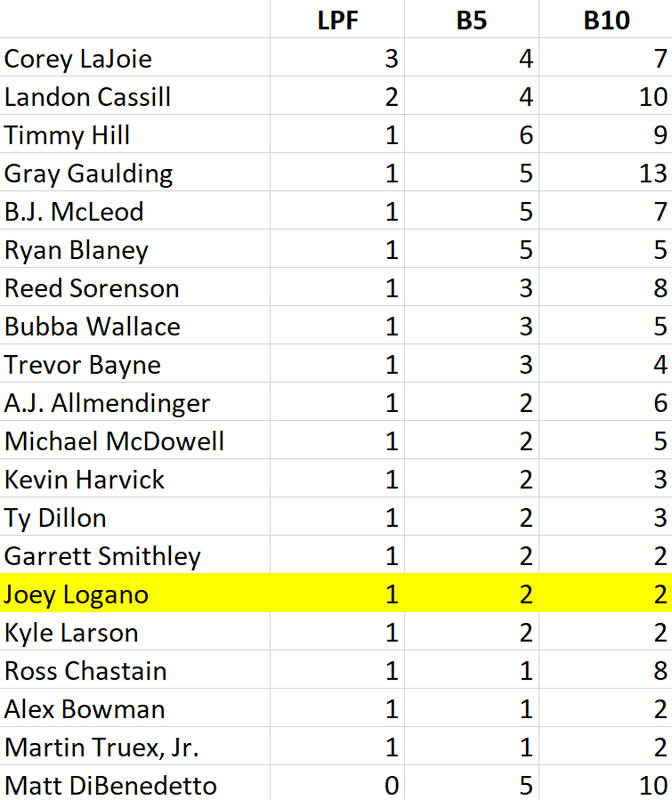 Spanning nearly his entire career and all 19 of his career Cup victories, the gap between Logano’s two last-place finishes in Cup has seen the Connecticut driver experience the highest of highs and lowest of lows. He took Rookie of the Year in 2009, but after years as a development driver for Joe Gibbs Racing, was released by the team in 2013 in place of Matt Kenseth. His move to Penske Racing paid immediate dividends, yielding his first top-ten finish in points, a five-win season in 2014, and a six-win 2015 highlighted by his first Daytona 500 victory. Only the championship remains elusive for Logano and the #22 team. At Homestead in 2014, his car slipped off the jack during his final pit stop, eliminating him from the first Championship Four. The next year, a battle with Matt Kenseth, his replacement at Joe Gibbs Racing, saw Kenseth respond to a spin at Kansas by wrecking Logano from the lead at Martinsville. And after finishing runner-up to Jimmie Johnson in 2016, he was out of the Playoffs entirely last year when his lone victory at Richmond was encumbered for a technical infraction. This year, Logano has again pushed for a championship run, but despite a victory at Talladega appears to be in a supporting role to the “Big Three” of Kevin Harvick, Kyle Busch, and Martin Truex, Jr. Still, entering Watkins Glen, where he prevailed in a close battle with Harvick in 2015, Logano had finished inside the Top 10 in all but 6 of the first 21 rounds with just one DNF – a next-to-last-place finish at Kentucky. This year, Logano’s Watkins Glen weekend began on a high note. He not only claimed the pole for Saturday’s XFINITY Series race, but won ahead of A.J. Allmendinger, overcoming a rain storm that forced the field to run rain tires for a few laps. On the Cup side, he qualified 5th in Round 1, then settled into 6th with a lap of 124.715mph (1 minute, 10.721 seconds). The #22 Shell / Pennzoil Ford also showed speed in practice, ranking 3rd in the opening session behind Erik Jones and Kyle Busch before settling into 20th in Happy Hour. Qualifying last was Landon Cassill, who was back in proper StarCom Fiber gold and black for the first time since his rough outing at Loudon. By the time the cars lined up on pit road, however, he had already passed two cars. Both Kurt Busch’s #41 Haas Automation / Monster Energy Ford and Paul Menard’s #21 Menards / Sylvania Ford had failed inspection. By the end of the first pace lap, Cassill fell behind the pair due to a penalty for unapproved adjustments, slowing in Turn 1 until both Fords moved past. Ty Dillon was also sent to the back for the same reason. By the one lap to go signal, Ross Chastain had voluntarily dropped back from the 32nd spot in his #15 Premium Motorsports Chevrolet to join Cassill at the rear. While a tight battle for the lead quickly unfolded, Cassill slotted into last and followed the field around for the first circuit. Far in front, Joey Logano was in a tight race with Kyle Larson for 5th, and he bumped Larson’s #42 Credit One Bank / DC Solar Chevrolet as the pair raced off Turn 5. Moments later, Logano started spraying fluid from under his Ford down The Chute. The video below by Miles Beard (aka #LASTBRO) showed no visible fluid as the #22 entered Turn 6, the car missing corner entry and driving straight off the track. 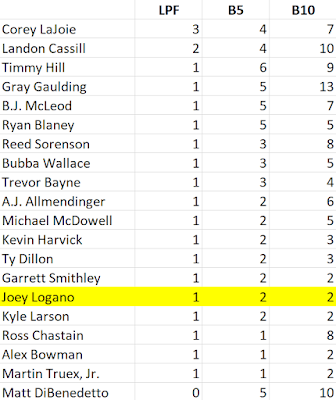 Unlike Tommy Joe Martins’ incident the day before, Logano ran straight through the gravel, and only regained control once he drove back out of it. Without hitting the wall, Logano accelerated along the grassy edge to the gravel trap and returned to the track to make it to pit road. When the crew discovered the leak, Logano’s car went behind the wall for repairs. While the fluid leak, captured on A.J. Allmendinger’s front bumper camera, indicated a mechanical issue was to blame for the incident, and the #22 never actually hit any barriers, the off-course excursion was classified as a crash. Whether this was due to the contact with Larson or the venture into the gravel pit is unclear, particularly since the incident didn’t draw a caution. Under the current “Crash Clock” protocol, a car going to the garage after a crash is done for the day. Thus, a bewildered Logano climbed out of his ride, his afternoon suddenly over. Despite a very short day, Logano’s car hauler left the track very late, following even the #9 team hauler for Chase Elliott, who scored a popular first career Cup victory. Finishing 36th on Sunday was Josh Bilicki, whose double-duty effort at The Glen ended with a persistent electrical issue on the #51 Jacob Companies Ford that made the engine sound flat in the race’s middle stages. B.J. McLeod was originally listed to drive, and McLeod’s name was still listed in Bilicki’s place on the track’s entry list t-shirts. As a rare start for the team with Ford, the car was also likely the same old road course chassis that Chris Cook piloted at Sonoma in June, though now with a blue paint scheme in place of Sonoma’s red-and-black. 35th went to Spencer Gallagher, whose Cup Series debut provided challenges of its own. The #23 Allegiant Toyota, a BK Racing car no doubt supported by his family’s Chevrolet team GMS Racing, struggled with an electrical problem of its own that caused the car to overheat. Gallagher came down pit road for water, but was then told to go to the garage area, where the cool-down machine was stored. With no garage access at his end of pit road, Gallagher reportedly backed up (or was pushed back) up the pits and into the garage. Soon after, driver and crew chief were told to meet in the NASCAR hauler after the race. Gallagher ultimately returned to the event, where he finished 17 laps down. 34th went to Cole Whitt, who took at least one trip to the garage as well in TriStar Motorsports’ #72 Chevrolet. 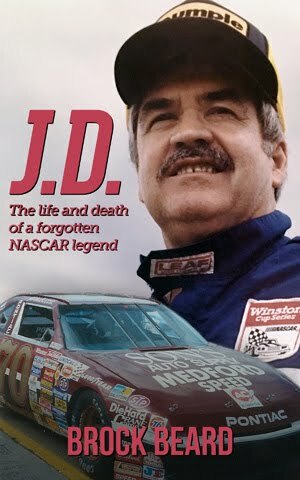 He ended up on the same lap as Gallagher when the checkered flag fell, dodging the leaders in the race’s final moments. Rounding out the group was Matt DiBenedetto in Go FAS Racing’s #32 Zynga Poker Ford. DiBenedetto pitted off-sequence early in the race, and was running by himself for much of the race afterward. 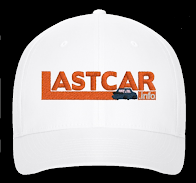 On Lap 54, the car erupted in smoke entering the Inner Loop, and stopped on the access road, drawing the fourth and final caution of the day. The crew somehow fixed the issue and got him back on the track under green on Lap 67. After creeping off the end of pit road to merge into traffic, DiBenedetto finished under power, 15 laps down. *This marked the first-ever Cup Series last-place finish for Penske Racing’s #22 team. The number hadn’t even finished last in a Cup race since March 30, 2008, when Dave Blaney, driving for the now-shuttered Bill Davis Racing, had engine trouble after 374 laps of the Goody’s Cool Orange 500 at Martinsville – more than a full decade ago. 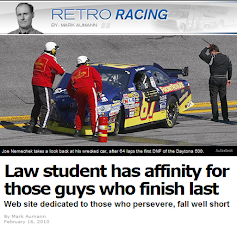 At the time, Logano was more than two months from his XFINITY Series debut at Dover and my race review was put to "(We're Gonna) Rock Around The Clock".